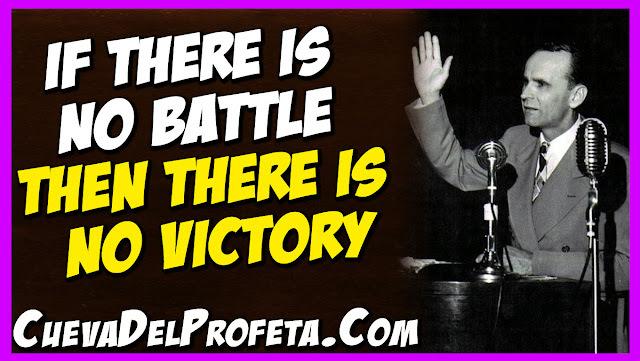 If you—if there's no battle, then there's no victory. But you've got to have a battle to have victory. If it was just given to you, it wouldn't be—wouldn't be no—wouldn't be a victory. 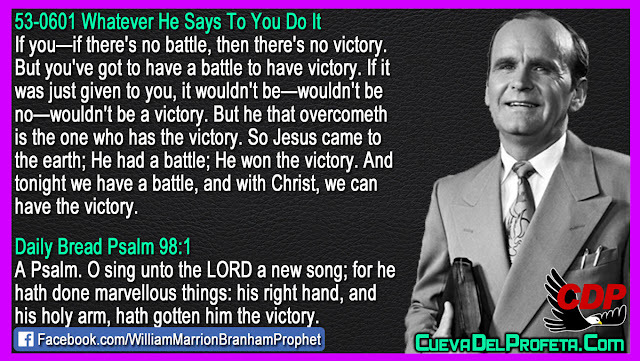 But he that overcometh is the one who has the victory. So Jesus came to the earth; He had a battle; He won the victory. And tonight we have a battle, and with Christ, we can have the victory.